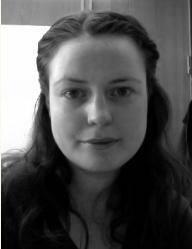 Sharon McNicholas is an Assistant Professor at the Department of Mathematics and Statistics, McMaster University. She recently completed her Ph.D. in Statistics at the Department of Mathematics and Statistics, University of Guelph, where she held an Alexander Graham Bell Scholarship (CGS-D) from the Natural Sciences and Engineering Council of Canada. She previously completed a Ph.D. in Physics at Trinity College Dublin (2008) as well as a B.Sc. in Physics and Physics Technology at the Dublin Institute of Technology (2003). Her research focus is on the computational aspects of statistics, with a particular focus on the analysis of modern data sets, i.e., so-called big data. The focus of some recent resarch has been on using evolutionary computation techniques for parameter estimation within various statistical models. She has also developed an approach that is effective for finding subgroups in high-dimensional data. This approach is based on mixtures of variance gamma distributions, which permit asymmetric and heavier-tailed subgroups.